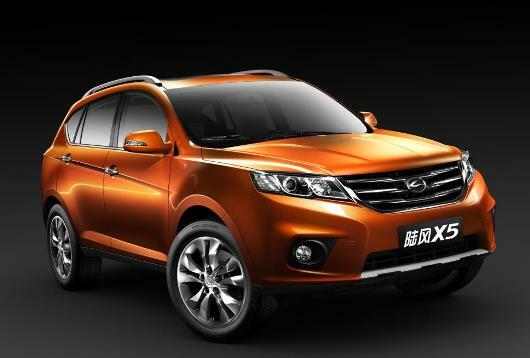 Jiangling Motor Holding Co. Ltd (JMH) – the company that produces vehicles under the Landwind brand within China – has revealed that it is working with Ricardo on vehicle and transmission development to support the launch of the new Landwind X5 8AT SUV product. Under the contract placed by JMH, based in Jiangxi Province, Ricardo is providing advanced engineering support for the integration of an 8-speed automatic transmission into the Landwind X5 vehicle, with the aim of providing new and internationally competitive levels of performance and functionality. The transmission selected for this purpose is the advanced 8AT product of Chinese tier one manufacturer Shengrui, which was previously developed as a result of a separate engineering partnership between Shengrui and Ricardo. The ground-breaking 8AT product includes a unique combination of epicyclic and parallel axis gearing. It offers the potential for excellent shift quality and is notably compact, providing significant benefits. In addition to supporting the functional aspects of the transmission integration, Ricardo will also deploy its highly specialized skills in the area of NVH refinement. In this way, Ricardo and JMH aim to ensure that the new Landwind X5 equipped with 8AT transmission delivers exceptional levels of refinement to customers as well as the functional performance benefits of its advanced driveline technology.